It’s time for you to write the dreaded cover letter. The place where you have to dust off the old writing skills, brag about all your business accomplishments, and hope it doesn’t sound weird. It’s one of the few places you get to impress a potential employer and get that job you’ve been longing for! So, it’s up to you to do it! While a cover letter may seem like a daunting document to write, it’s the perfect place to tell your career story to a future employer. You get paragraphs to explain anything on your resume that you want to clarify, highlight, or add to! I’ve seen some interesting cover letters while recruiting for my last job and hiring interns for the blog. Don’t make a mistake that will cost you the job! Your cover letter is meant to be an extension on your resume. Your resume is a summary of your experiences while your cover letter is an addition to the experiences that brings the point home. When writing your cover letter, pick 2-3 experiences that you want to elaborate on. Elaborate meaning to add more detailed information on. Not the same info that you’ve already covered on your resume. Your hopes and dreams to be the top in your field are great, but the company you’re applying for doesn’t really need that information. The company wants to know how you are going to help them! Read through the job description for keywords or responsibilities that you know you can do. In your cover letter, talk about specific experience where you have accomplished or completed a responsibility or quality the company is looking for. You want to show that you want to help the company grow, just as much or even more than yourself. The person that gets the job is normally the person that stands out among the other candidates. Employers want the person who is going to do the job, the best. Think about how your experiences are unique. Were you the lead on multiple projects? Did you volunteer your time in your field? Do you blog or run your own business? Anything that sets you apart is beneficial. Play that up in your cover letter. Use your cover letter to write about your various experiences that make you the best candidate. But, don’t write a novel. Hiring managers often have to review tons of candidates. Your cover letter is likely to get a quick skim. Keep your cover letter to about 3-4 paragraphs and never more than a page. Try to get each point across in 1-2 sentences. Make every sentence count towards making you seem the perfect candidate! Please, whatever you do. Don’t send a cover letter with spelling errors and grammar mistakes. This is extremely unprofessional. Plus, it gives the impression that you don’t really care about the job at hand. After you write your cover letter, read it over. Read it out loud to ensure it makes sense. Send it to a friend or family member to give it a quick look over. The more eyes see it, the more likely you’re able to spot a mistake! Cover letters can be tricky, but don’t let them discourage you! 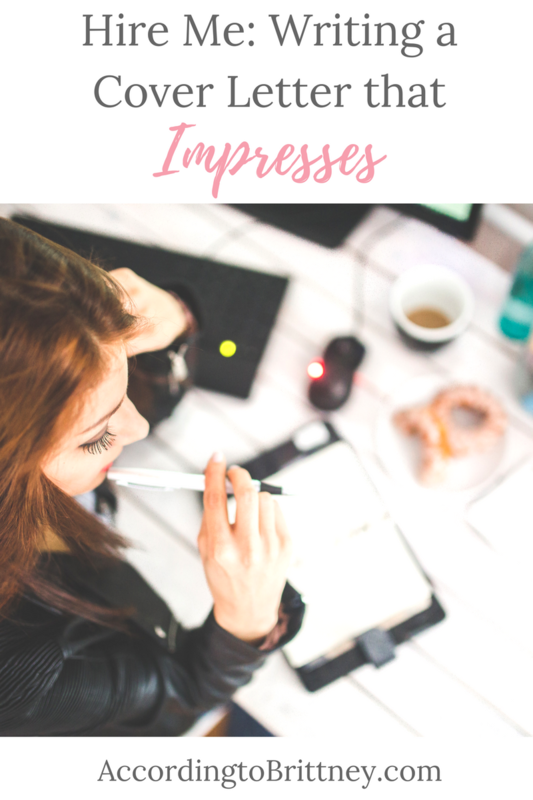 Follow these steps to write a cover letter that impresses! In not time you will be #careergoals. What do you do on your cover letter that makes it stand out?